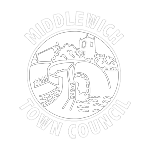 The website for Middlewich Town Council heritage. This website contains the different time periods of Middlewich, project work, further teacher’s resources and session plans, galleries, archaeology and events. The following list is just a taste of some of the sites. It’s always worth checking any site to see whether they serve your class’s needs as they vary considerably. Greco-Roman Map Great map showing the Roman Empire and the Roman place names, Deva is Chester. Roman Empire Map This map goes through time and shows how the Roman Empire changes.